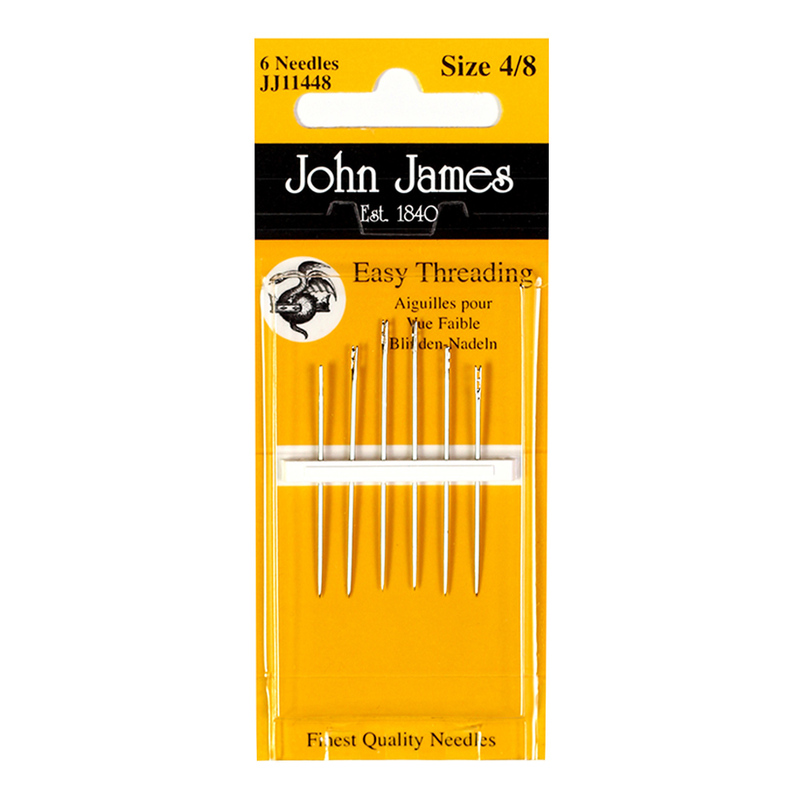 Easy Threading Sewing Needles are sometimes referred to as a CALYX EYE NEEDLES.These hand sewing needles have a slotted threading eye at the top into which the thread is passed through. 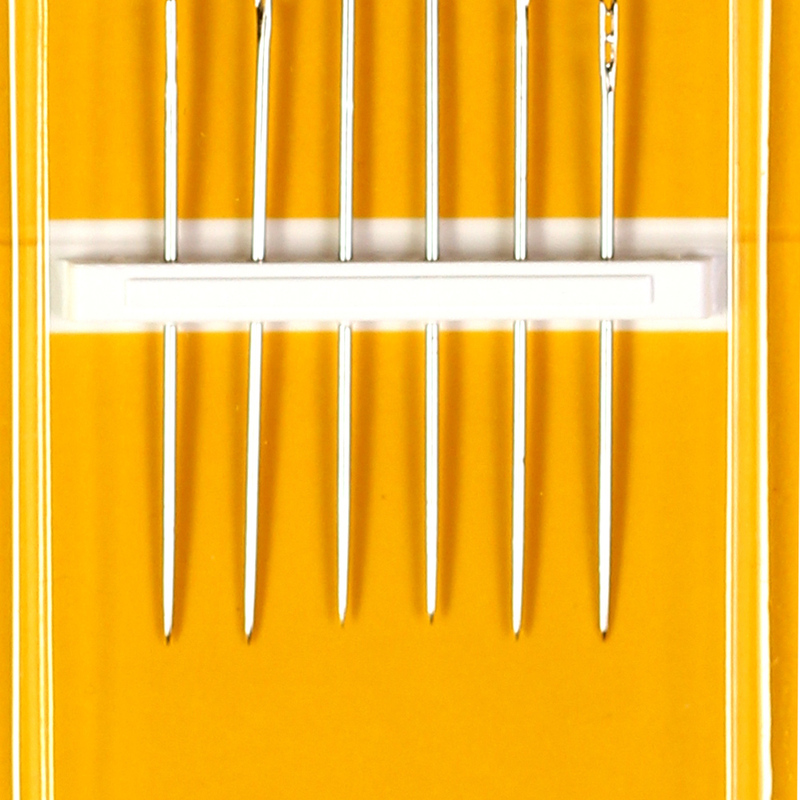 They are specially made and are perfect for those people who have difficulty threading ordinary sewing needles. 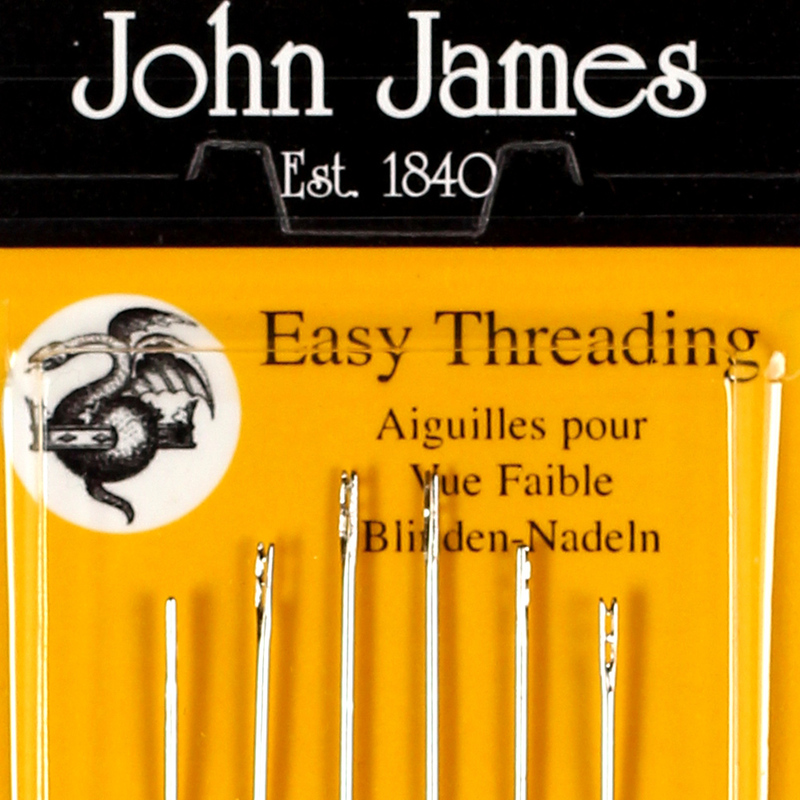 Contains 6 sewing needles.